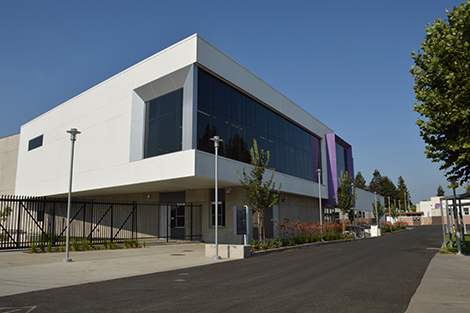 San Jose City College (SJCC) – among the oldest community colleges in California – touts a new catchall for “all things movement.” The 38,990-square-foot Jaguar Sports Center – the campus athletic hub – supports 10 sports teams; multiple movement classes, including kickboxing, yoga, weight training, archery and body sculpting; a new gym, fitness center, spin room, locker rooms, yoga area, training room, team rooms, and equipment storage room; as well as a laundry room and system specifically engineered to tackle dirty athletic uniforms, loops, towels, warmups, helmets and pads. 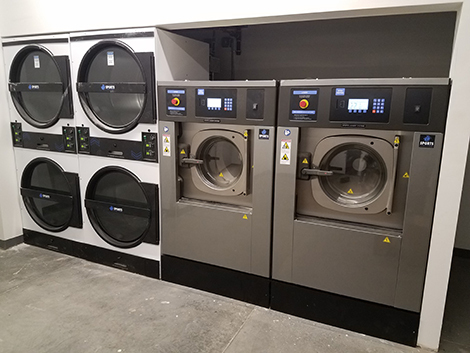 The Sports Laundry System was later installed by Scott Mossholder, of Taylor Houseman, a laundry equipment distributor in Pittsburg, Calif. It’s programmed to wash a variety of athletic items – from socks, loops and towels, to uniforms, practice gear, game jackets and warmups. It also features automatic chemical injection, which ensures a precise mix of chemicals is injected into the wash cycle at the appropriate time, according to Deatherage. “We know that it’s set to the correct amount of chemical,” she said. “We could damage items if we put too much in there. Just what is needed is dispersed. It also makes it more cost effective for us.” Every facet of the wash cycle is controlled, including water levels and temperatures, rotation action, extract speeds, number of baths, etc. This makes it possible to wash helmets and pads, as well. To operate the washer, Deatherage loads, enters a program number, and presses start. “There’s no rumbling, even though the washers reach really high extract speeds,” she said. This is thanks to a soft-mount design and sophisticated multi-dimensional spring system. Unlike hard-mount washers, which must be bolted to a reinforced concrete foundation, the soft-mount Sports Laundry System slides easily into place without bolts. This not only makes for a quiet laundry room, it allows it to reach extract speeds up to 400 G-force. Hard-mount washers, by comparison, typically generate just 75-200 G-force. As G-force increases so does the moisture removed from each washer load. When more moisture is removed, laundry takes significantly less time to dry. This contributes to greater laundry productivity, longer uniform life and lower utility costs. Deatherage witnesses this first hand. “Some of my gear comes out of the washer nearly dry,” she said. And, thanks to the flexibility of the Sports Laundry System, it can be further improved to provide disinfection down the road, according to Deatherage. By disinfecting athletic laundry, SJCC can help prevent the spread of infection from contaminated laundry to athletes. “It’s as simple as connecting an ozone disinfection tower,” said Leib. “The tower automatically injects ozone gas into the washer. Ozone is environmentally friendly and works with cold water to eliminate up to 99.9 percent of superbugs in the wash, including MRSA, hepatitis and HIV. The side benefits are that laundry smells fresher, looks brighter and requires hardly any hot water. Cold water usage further lowers natural gas costs for the school.” To find out more about SJCC visit www.sjcc.edu. To discover more about Sports Laundry Systems, visit www.sportslaundry.com or call Taylor Houseman at 800-464-6866.